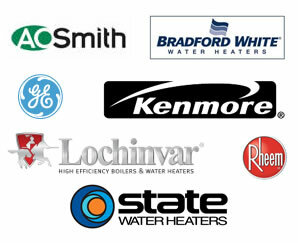 PVC Vent Screens is a North Olmsted, Ohio based manufacturing company founded by Bill Woosley. Having to address the needs of a critical venting application, with no suitable vent screens available, Mr. Woosley used his electro-mechanical engineering background/experience to design a new vent screen product line. These vent screens, which are known today as PVS series vent screens, overcame the deficiencies found in almost all other vent screens being sold at the time and even to this day. Years later, the PVS series product line is not only the preferred vent protection product by home and business owners, but HVAC and plumbing professionals throughout the world to this day. The PVS-RS series vent screen Mr. Woosley designed eliminated the restrictions caused by condensate freezing on cheap vent screens that blocked exhaust vents during winter. Though partially frozen screens may still allow appliances to function during winter, combustion analysis confirms that such appliances often operate with a decreased rate of performance that manifests itself in higher utility bills. For this reason, Mr. Woosley designed the far superior PVS-RS series vent screen. The PVS-RS series product line offers a 90% air/gas flow rating which supports clean combustion cycles and optimal energy savings during the coldest winter temperatures of North America. As temperatures rise, the concern for condensate freezing on vent screens is eliminated and the threat of insects entering ventilation systems increases. Because of this, the PVS-IS series vent screen was designed by Mr. Woosley. The PVS-IS series product line not only protects intake and exhaust vents from animals, but insects as well. With a 70% air/gas flow rating, PVS-IS series product line blances the ventilation requirements of high efficiency appliances with vent protection from ants, bees, wasps and other insects. 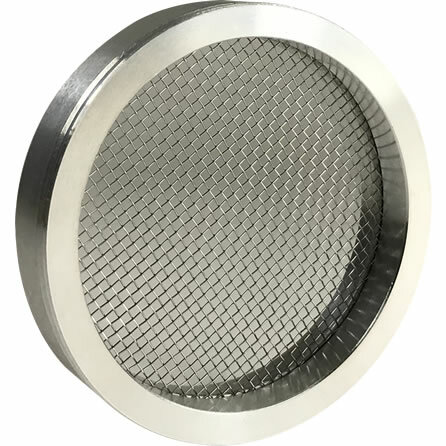 The PVS series vent screens Mr. Woosley designed are not only still made in the United States, but are manufactured with highly anti-corrosive materials that support clean combustion cycles in modern high efficiency natural gas furnaces, power vent hot water heaters and boilers. 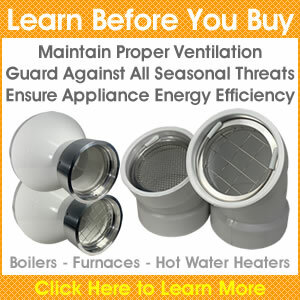 Since these high efficiency appliances have different intake and exhaust requirements, we expanded our product line of stocked vent screens and caps. Though the PVS series vent screens sold today still set the standard for true all-season vent protection, we expanded our manufacturing capabilities to provide custom solutions for those in a variety of industries. Today, a substantial portion of the vent screens and caps produced by our company are customized to meet the needs of those in the aerospace, energy, health care and a variety of other industries with application specific needs. Mr. Woosley not only has a strong conviction for quality, but to our country. To this day, we maintain our manufacturing facilities in Ohio utilizing American made materials to manufacture products that are truly 100% made in the U.S.A. Not only are most products made in the United States of a superior quality, but they are produced by employees whom we call our friends, neighbors and family. Our primary goal is to provide consumers with a high quality product that will protect them from unwanted repair bills in the future. 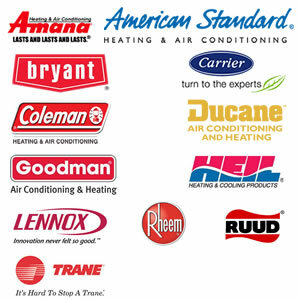 In cases where insects or animals do make their way into a PVC exhaust or intake vent pipe, repair bills often include a service call from both a pest control company, HVAC specialist or plumber. When using our easy to install vent screens, our customers no longer need to worry about insects, animals or debris damaging their high efficiency furnace, hot water heater or boiler.